2.4L 4CYL, AWD, HEATED SEATS, GREAT ON GAS, AMVIC CERTIFIED ! Our 2017 Kia Sportage for sale in Edmonton. Our 2017 Kia Sportage is a sleek looking SUV, with a beautiful silver paint it screams luxury! grab it before someone beats you to it – it won’t be around for long, at this bargain price! AMVIC Certified dealer. The best way to buy a used car. Ever. All of our vehicles come with AMVIC mechanical inspection. Can't make it to the store?? Our non-commission Sales staff will deliver the vehicle to you for no cost. Go-to place for cars & credit. 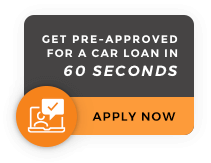 To know more about financing options or to schedule a test drive, please visit www.drivenation.ca or call (780)702-1717. Our store address is 17250 Stony Plain Rd, located on the corner of Stony Plain Rd and 170th Street. Look for the big DriveNation sign!